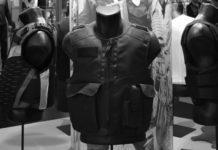 The village of Central Lake, Mich., recently received a $400,000 Community Development Block Grant to support the expansion of Second Chance Body Armor’s operations. The project, entailing $300,000 for additional body armor manufacturing space and $775,000 in equipment, will result in the creation of 50 new jobs. Second Chance Body Armor is a wholly owned subsidiary of Armor Holdings Inc., a Jacksonville, Fla.,-based manufacturer of branded products for military, law enforcement and personal safety markets. The grant is being made available by the MEDC with funds provided by the federal Community Development Block Grant program. It will be used to extend a village-owned sewer line to the Second Chance Body Armor facility, with a contribution of $44,000 for the project from the Central Lake Sewer Fund. The Michigan Economic Development Corp. administers the state’s Community Development Block Grant funds received from the U.S. Department of Housing and Urban Development. These funds are used to provide grants and loans to eligible counties, cities, villages and townships—typically those with populations less than 50,000—for economic development, community development and housing projects. Larger communities receive block grant funds directly from the federal government. The MEDC is able to award approximately $40 million in federal CDBG funds each year. There are 1,655 local governments within the state eligible to apply for these funds. Projects are approved contingent upon compliance with state and federal requirements. “This source of funding makes it possible for communities to make the public infrastructure improvements necessary to attract business investment,” said MEDC President and CEO James Epolito. Named a Fortune 1000 company last April, Second Chance Body Armor has about 5,000 employees at 25 facilities in nine countries and had revenues of $1.6 billion in 2005. 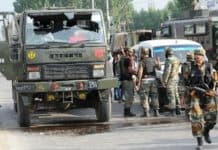 It has completed 26 acquisitions since 1996 and purchased the assets of Central Lake-based Second Chance Body Armor, manufacturer of bullet resistant vests in 2004. The Michigan-based operations will add a new brand of armor designed for the law enforcement community.